41 posts categorized "Kalani Allred"
Our Featured Design Team member today is... Jeanne Streiff! 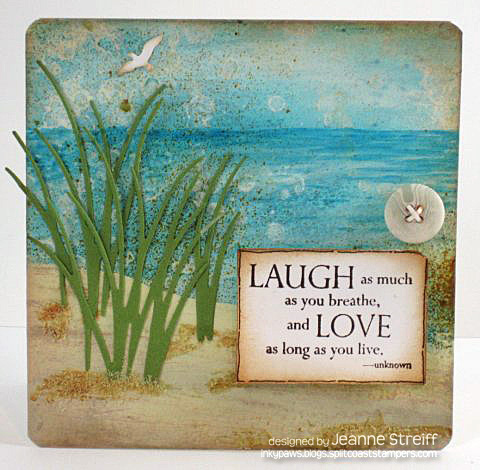 To see Jeanne's's full project and how she made it, click HERE! 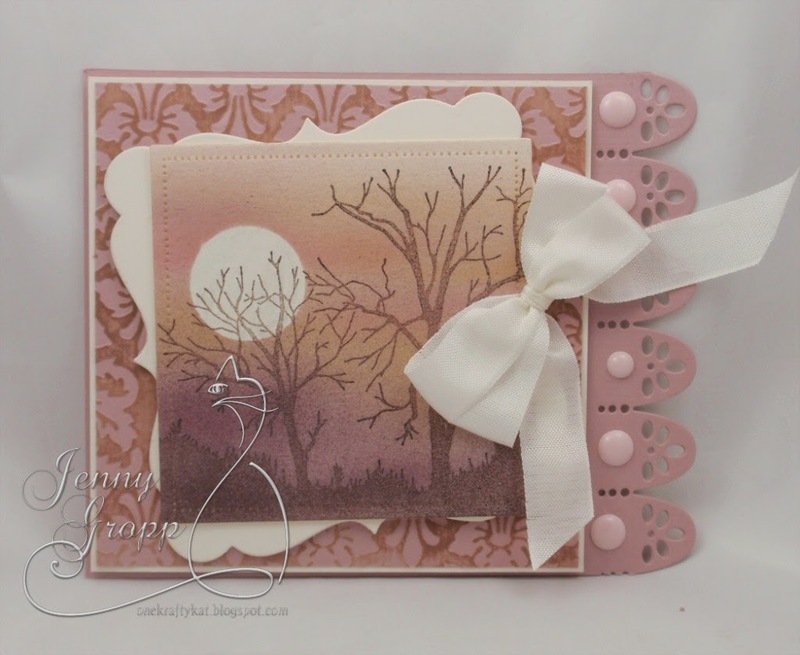 Anna Wight shares a beautiful Autumn card today! 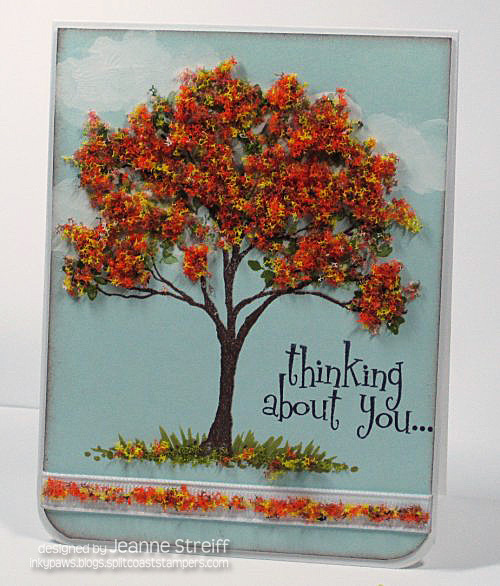 Anna used the DIE143-R Feather die set, DIE215-E Pine Pair die set, and CL541 Autumn Leaves. 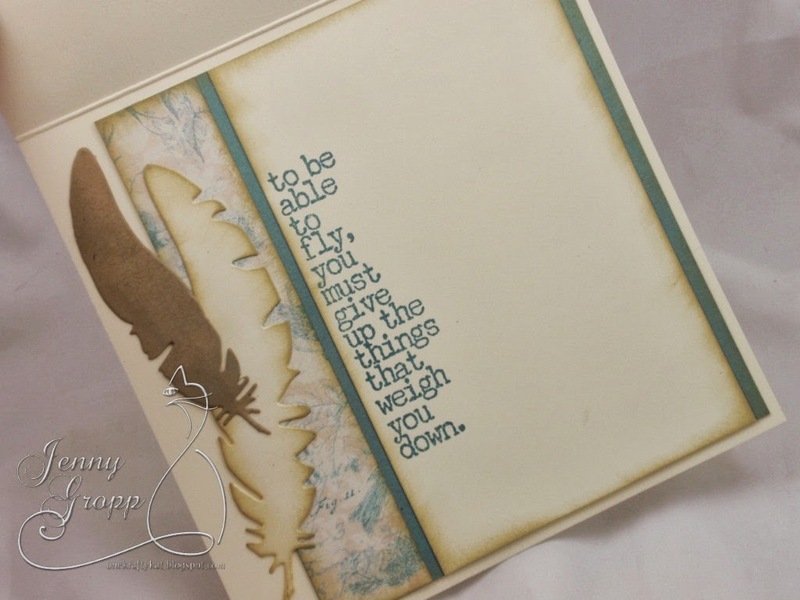 To make my card, I used the Feather die set, along with the Pine Pair die set, and a sentiment from the Autumn Leaves clear stamp set. I die cut pretty designer papers in various brown tones as well as a beautiful copper colored glitter paper for a bit of sparkle and shine. 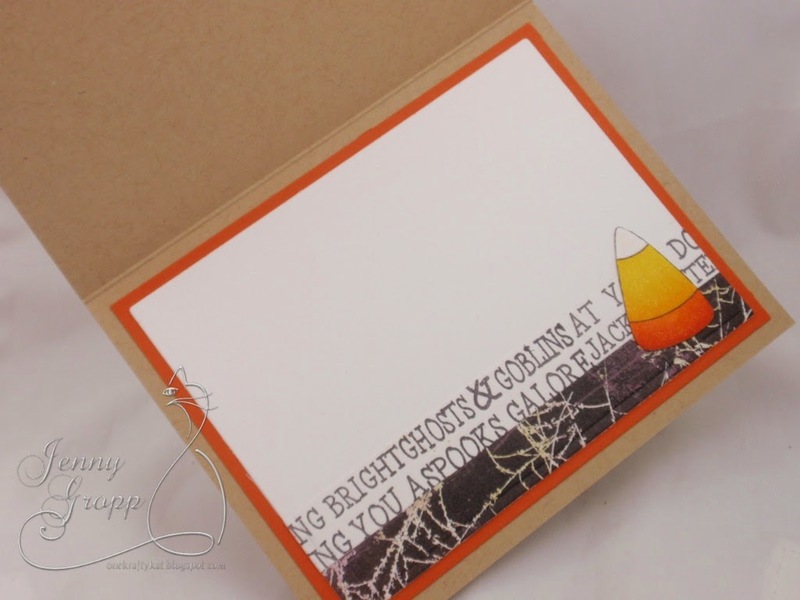 Jenny Gropp uses Clear Set #CL488 Have Broom will Travel and Clear Set #CL554 Creepy forher fun Halloween card! 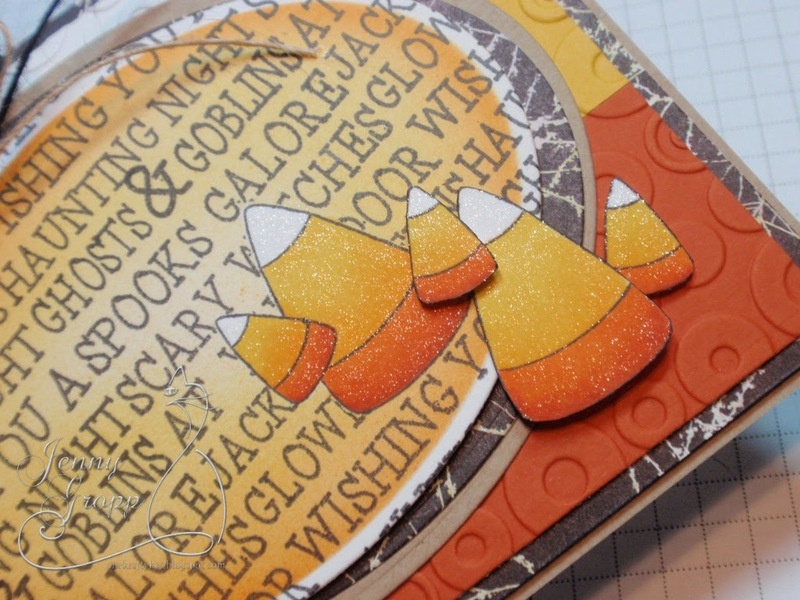 I stamped the candy corns and masked them with Eclipse Tape. After masking, I stamped the verse multiple times over the candy. I airbrushed the background with YR15 and Y17. 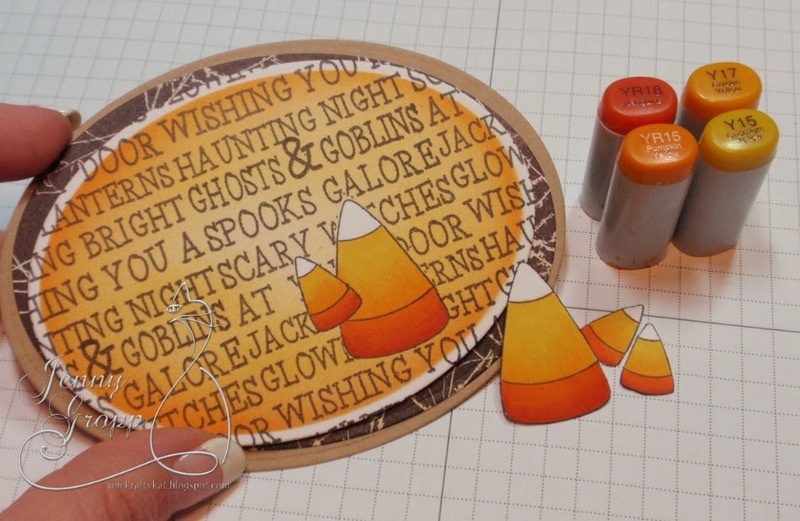 Candy corns are pretty quick and easy to color with a few Copics! I stacked up my oval die cuts a little wonky, using foam tape in between layers for dimension. I used a Wink of Stella Clear Brush to add a little sugary sparkle to the candy corns. On the inside, I added a few leftovers to finish the card. The card size is an A2. 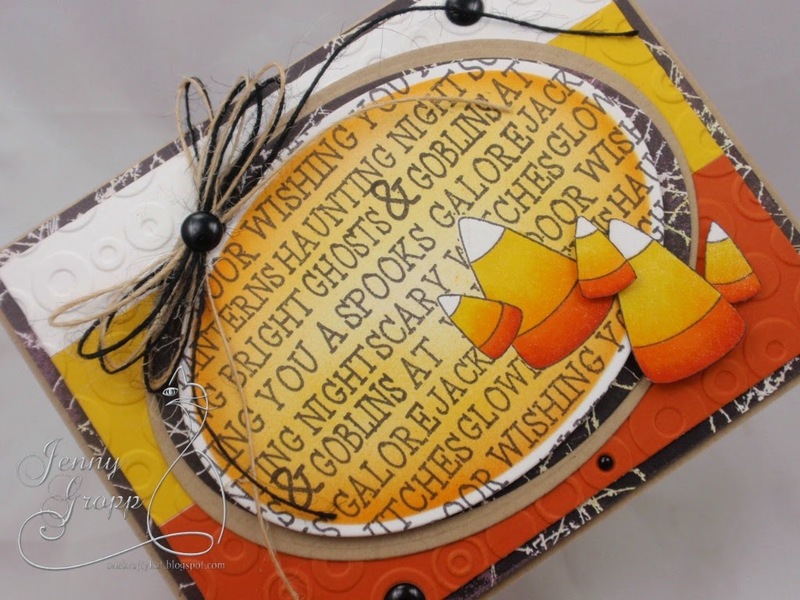 We have a fun Halloween card from Ellen Taylor to share today! Is it feeling like Fall at your house? 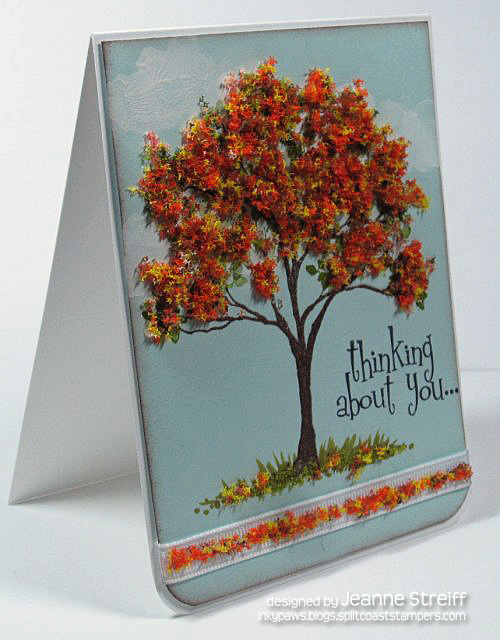 We have a pretty Fall card from Jeanne Streiff to share today using CL394 Solid Tree - Clear Set & B3758 Thinking About You. I made some clouds with Gesso and then stamped the tree and leaves on top. 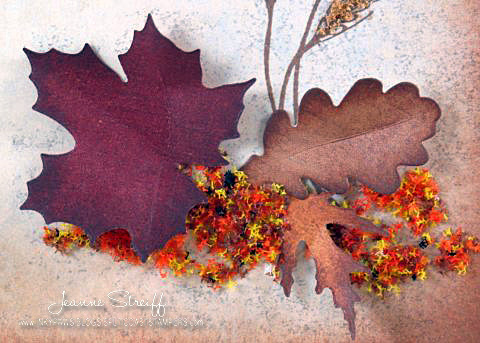 I added Autumn Flower Soft for my “leaves”. The grassy area was made with Touch Twin Markers. To tie in a little embellishment I added Flower Soft to my ribbon. 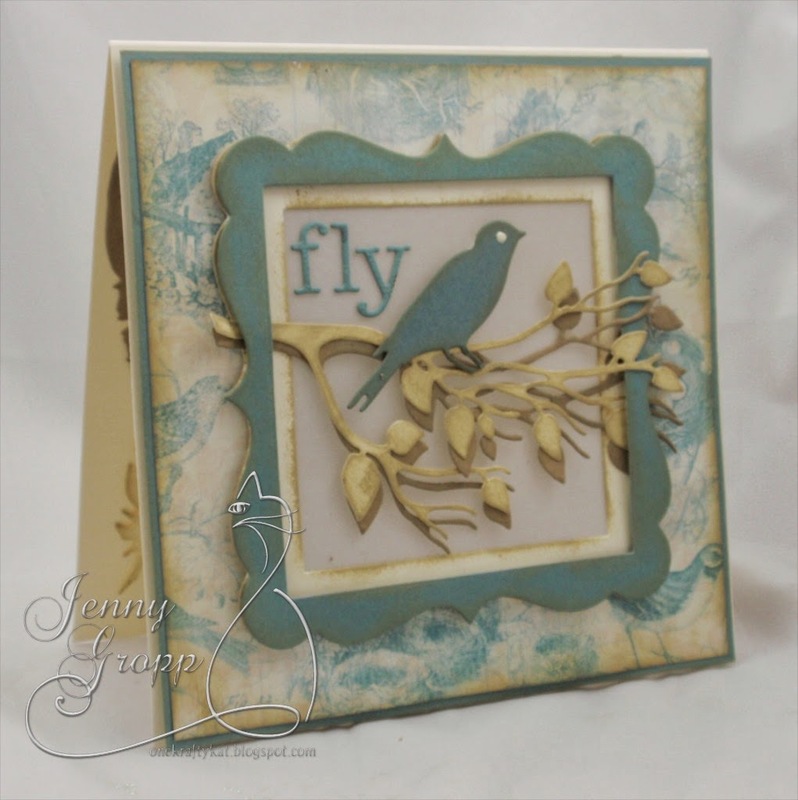 Jenny Gropp shares a gorgeous project today! Jenny used Spooky Trees #H7759, Square Shaker Frame Die #DIE002-Z, Border Duo 1 #DIE017-V, Circle Cut Out Border #DIE171-K, All Seasons #C3534 for her project. 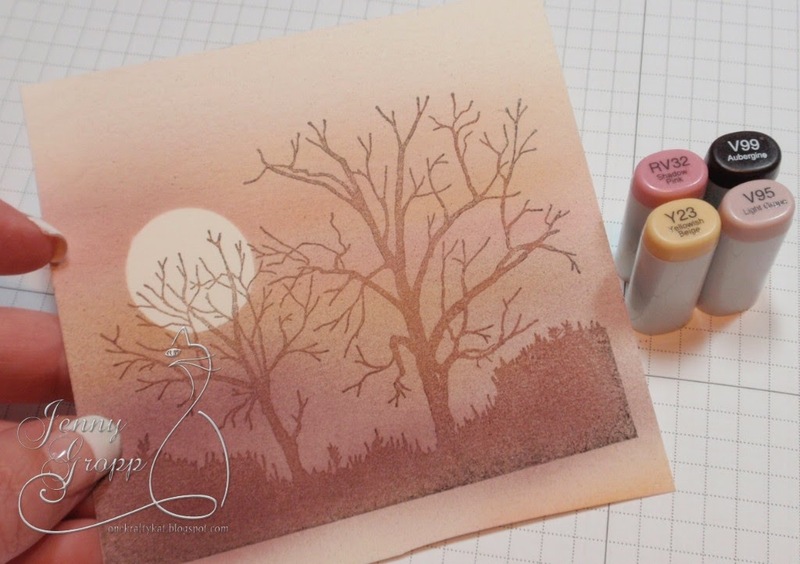 When I saw the new Spooky Trees image I knew I'd be airbrushing! Love doing silhouette scenes like this! I used the Border Duo 1 Die to cut the edges of the card base to make it a little more interesting than a plain square card. I used a circle punch to make a mask for the moon. An unusual color combo for sure! I used a square nestie to cut out the scene and added the piercing around the inside edge of the die. I added the Square Shaker Frame die as an additional layer. 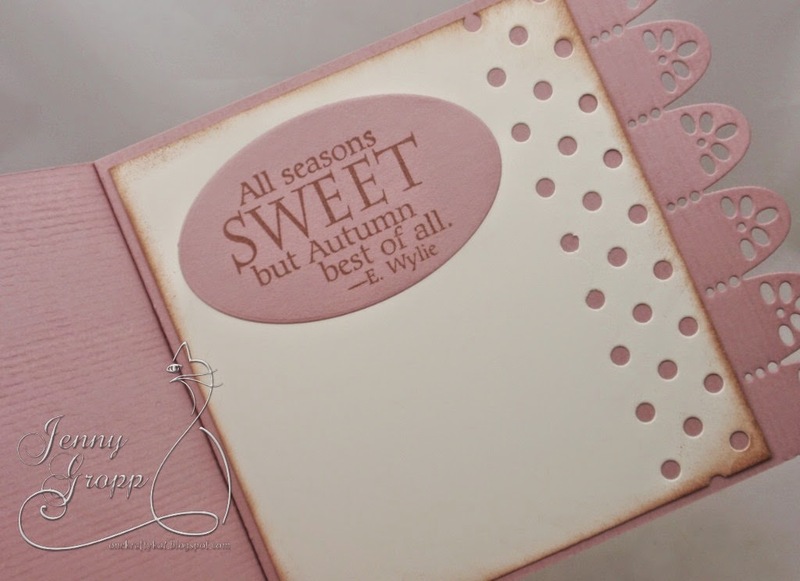 On the inside, I added a the Autumn Quote and the Circle Cut Out Border on the ivory liner. 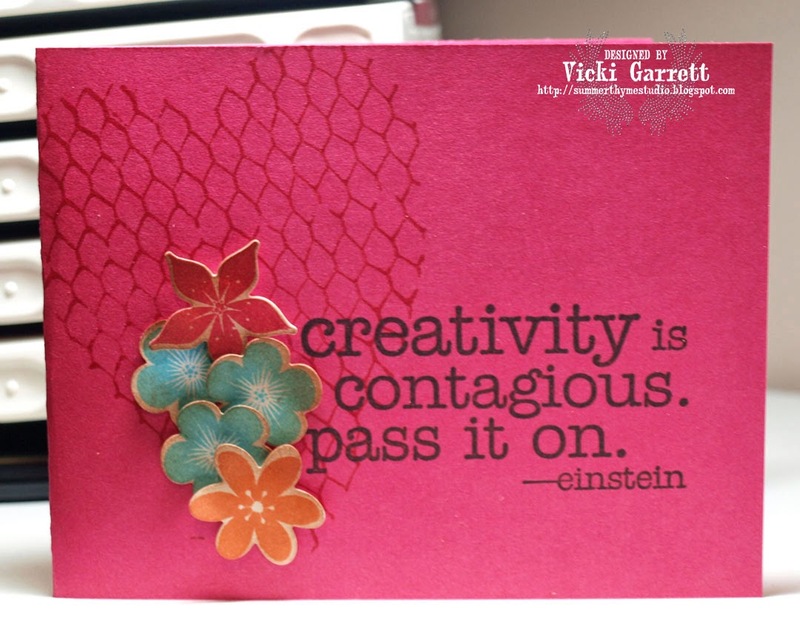 Did you see Vicki Garrett's fun masculine card for out current challenge (see all the details HERE!)? Vicki used Grunge Circle 1, Grunge Circle 2,Sketchy Chevron Border. Grunge Star and Happiness and Health for her card. 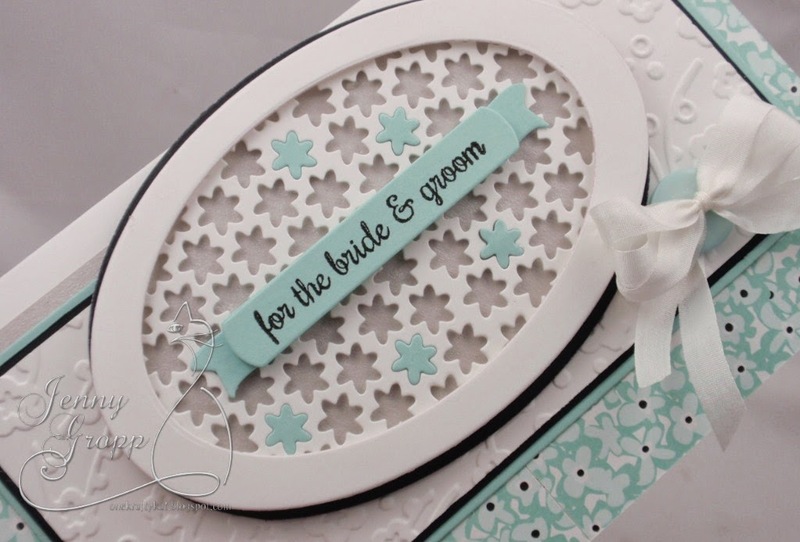 We have a gorgeous wedding card to share today from Jenny Gropp. Wedding season will be here soon, so I made a card to be ready! I used the new Tiny Flowers Die to create my open flower background. 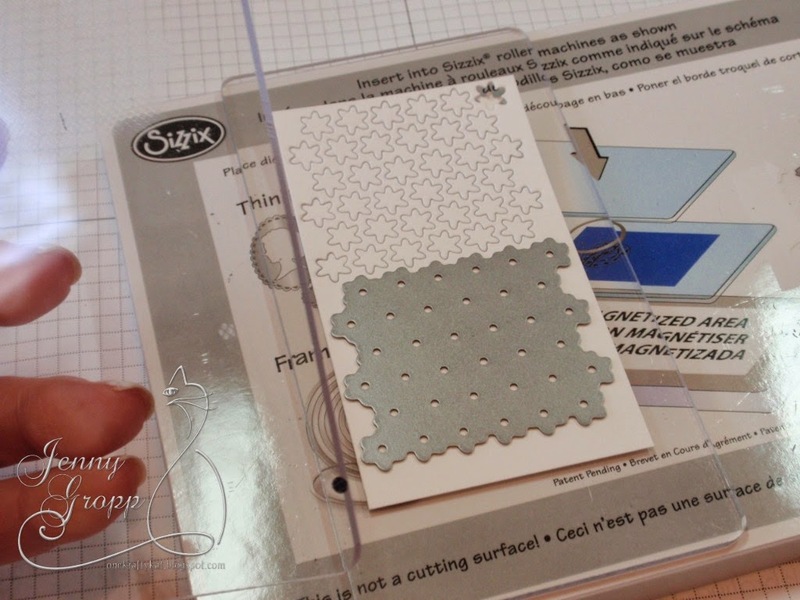 You can see in the below picture I used the Sizzix Magnetic Plate to line up the die to get multiple cuts and create a background of cut out flowers. I cut a few blue flowers to pop back in the cut outs. I added a black little flag in the corner with some pearl embellishments. This was my first time using the magnetic platform for something like this. It works wonderfully. No tape or anything... just put your paper and die in place and the magnetic platform holds it perfectly. I used small plates . The small flowers just seemed to make it quick and easy! One tip----you need to use a pretty flat plate on the bottom, meaning not warped. On the inside I created a little gift card pocket and topped it with the Large Bow Die to make it a little more "gift" looking. I added a sweet sentiment from the clear set A Good Marriage. the Banners and Tails Dies. 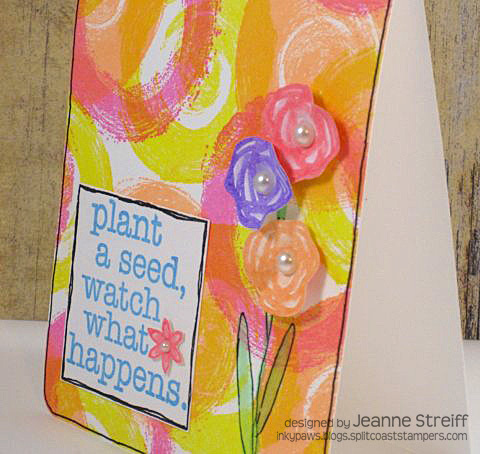 Here's a cheery & colorful card from Jeanne Streiff using E9142 Brushed Circle & CL521 Plant A Seed. 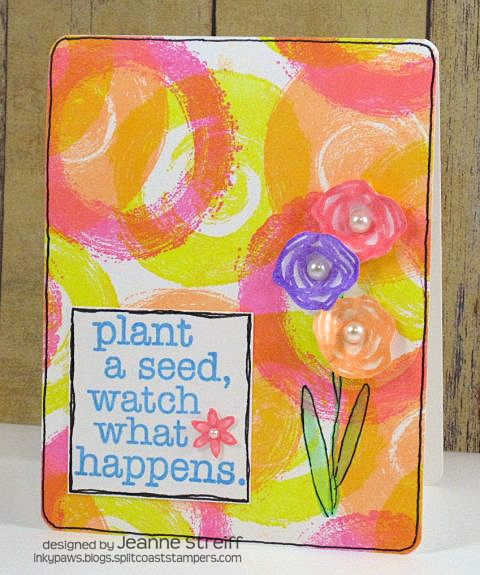 What a fun card to brighten someone's day! Oh my! 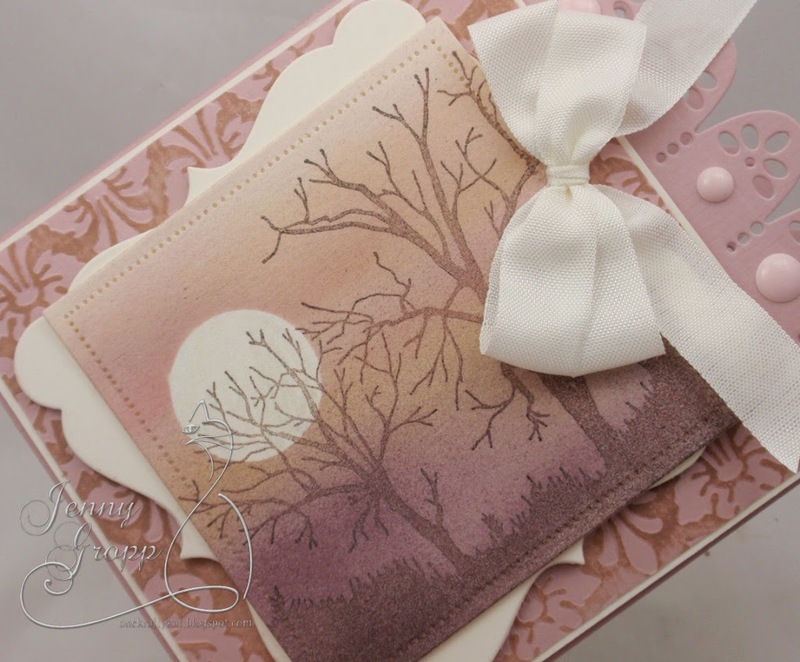 Check out this gorgeous card from Jenny Gropp! Hope you are enjoying the great die ideas the team is sharing as much as I am! 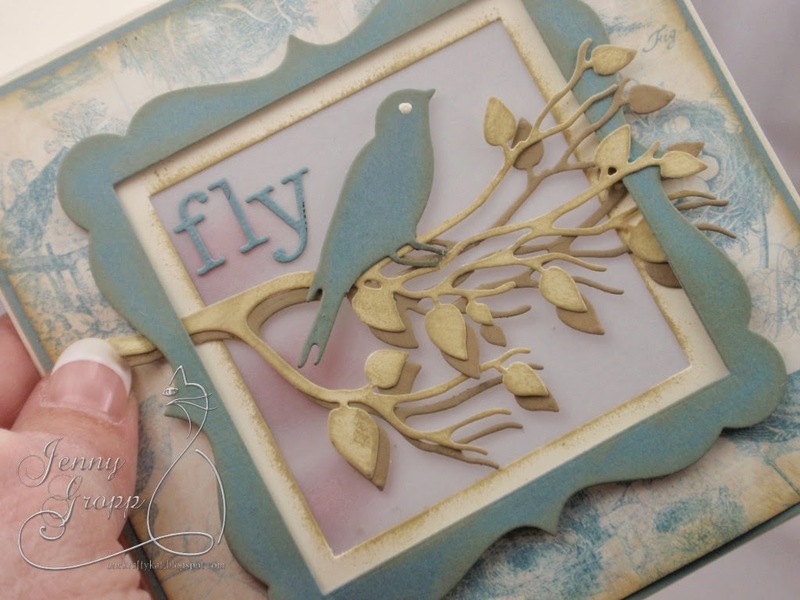 For today's card I chose to make the new Large Bird on Branch Die the focus. I used the Square Shaker Frame to frame the bird. I cut it twice, once in ivory and once in blue. 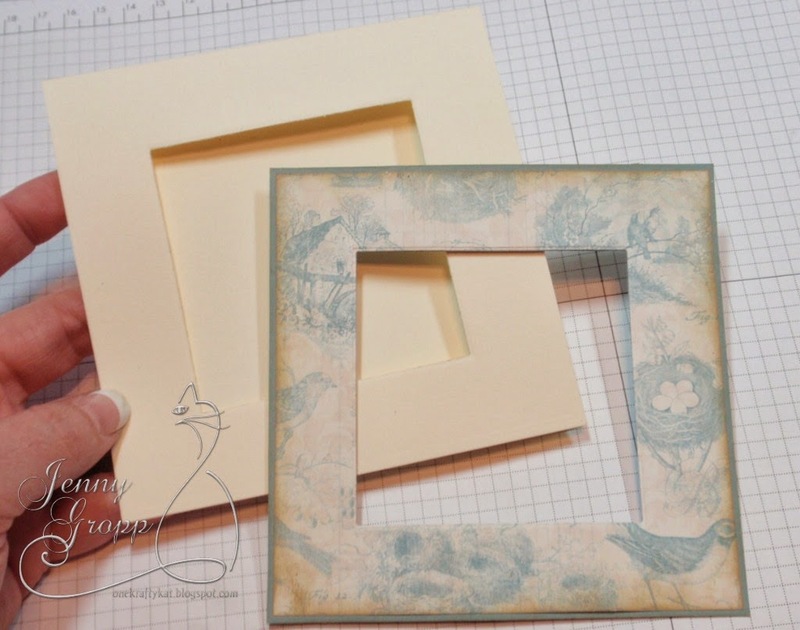 I used a square die to cut away more of the inside on the blue frame to get a layered look. Here's the base of the card. I used a square die to cut out a window in the card base and the front layer panel. I wanted the opening to go all the way through since I was going to use vellum. The vellum would allow some light to come through. I lightly distressed the edges with a Creamy Brown Chalk cats eye ink pad. Here you can see my card coming together. 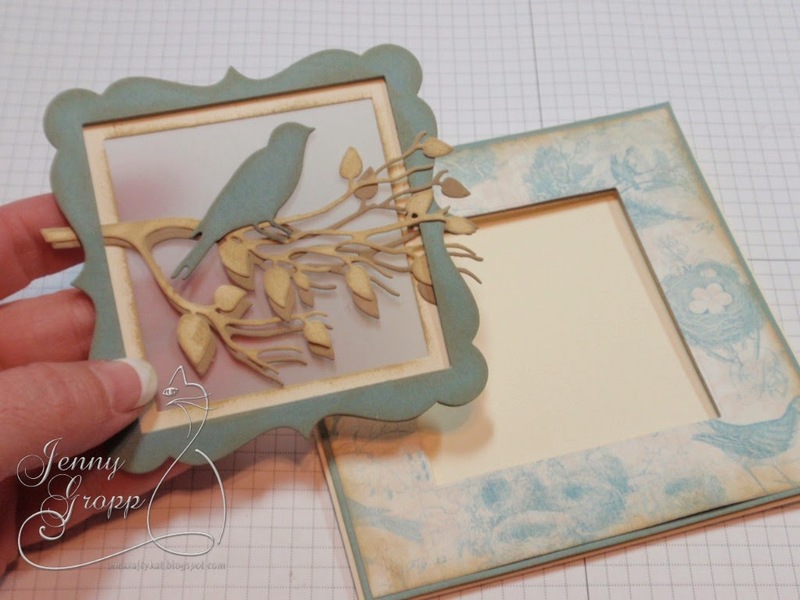 The bird and branches are tucked in between the ivory and blue frame. I used foam tape in between the two frames as well to give it more dimension. I backed the frame with vellum before adhering it to the front panel. You can see it is a thick vellum... my fingers are just shadows behind the vellum. But when the card opens it lets the light come through nicely. 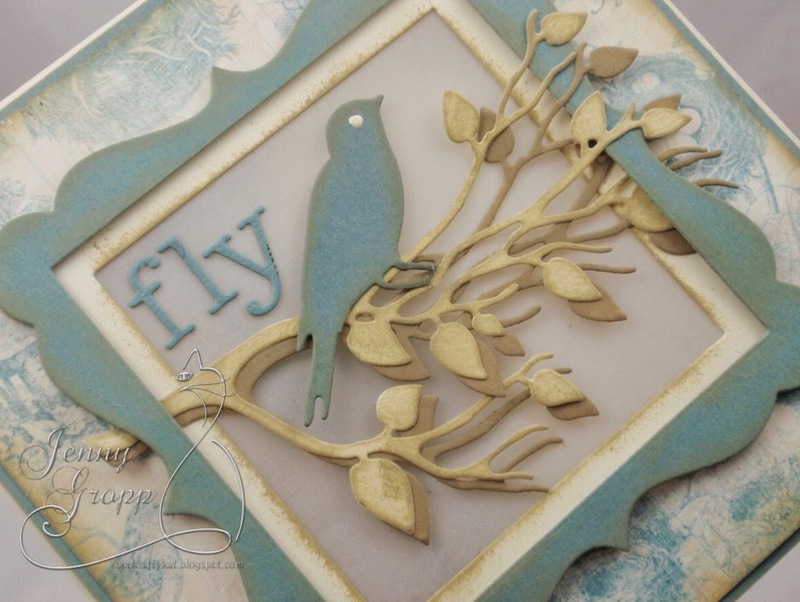 I added "fly" using the new Typewriter Alphabet Die. Here's the inside... I used the clear set You can Fly for the sentiment. 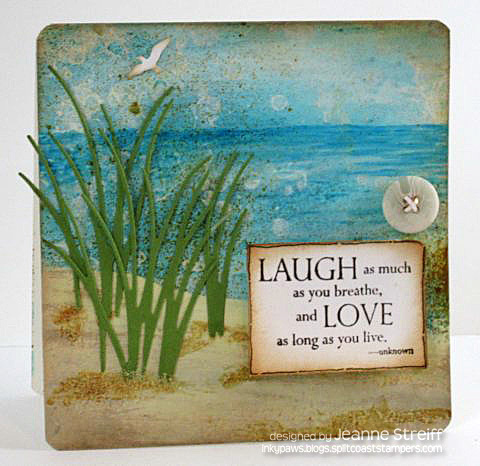 This set is full of great sentiments to go along with our Feather Dies or any of the Bird Dies. When the card is closed, the vellum is thick enough not to show the inside of the card. The finished card is 5" square and opens at the bottom tent style. How sweet is this card from Vicki Garrett using CS540 Bunch of Blossoms Clear Stamp Set , DIE148-L Bunch of Blossoms, G9145 Chicken Wire Heartand D14174 Creativity is Contagious. Here is a sweet Birthday card from Daniela Dobson. 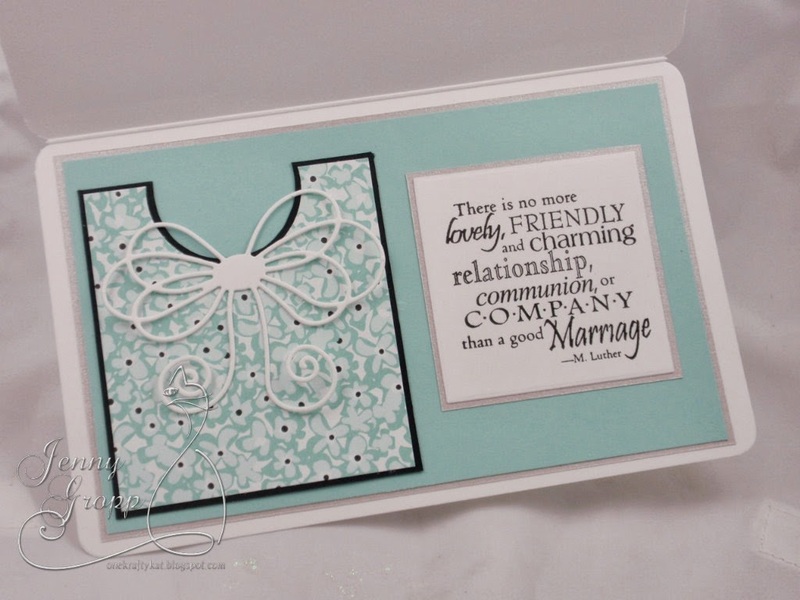 Daniela used C14196 Cupcake & CL445 Banners & Greetings for her card. For the stamps I used the cupcake from Cupcake stamp set and a sentiment from Banner Greetings stamp set. I used a paper straw on another project recently so I thought I would add one to this card, as well. I colored the cupcake with watercolor crayons and added some glitter to the top. We have a beautiful card from Anna Wight today! Anna used Lavender and Leap of Faith. 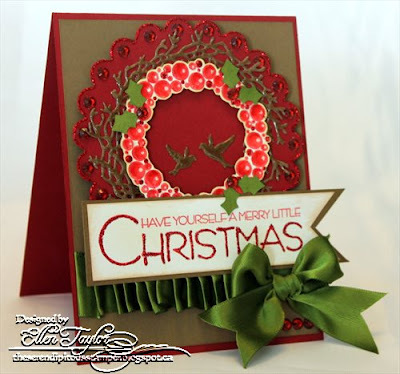 Ellen Taylor share a beautiful Christmas card today. 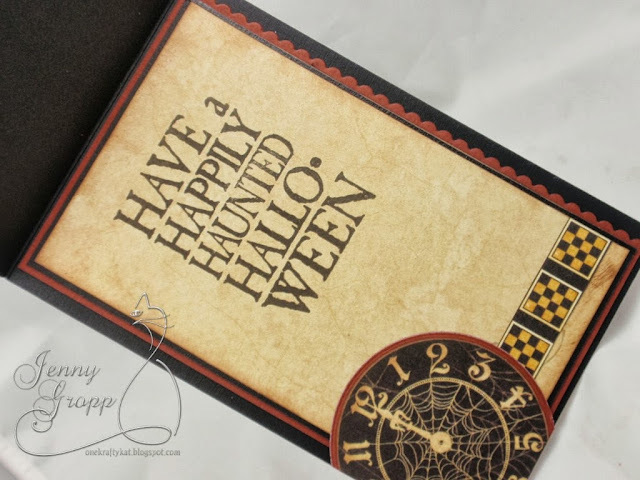 Jenny Gropp shares a tutorial today for a gorgeous Halloween card. 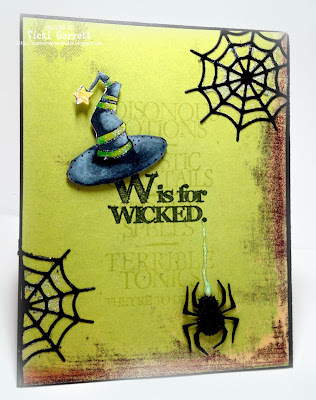 Jenny uses Banners and Tails Die Set, CL490 Tangled Web Clear Set and Border Duo 2 Die. I've been cutting up my Graphic 45 papers again! 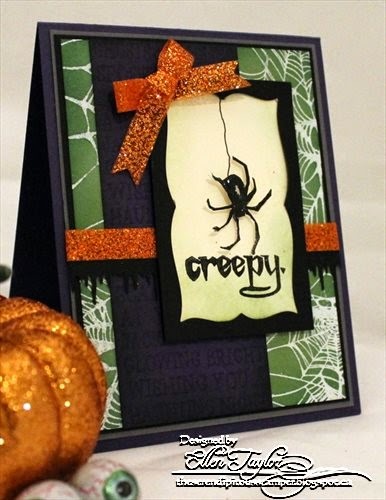 I used papers from the Happy Haunting Collection and with the little spiders dangling... I thought it was a great match to use the Itsy Bitsy Spider stamp! 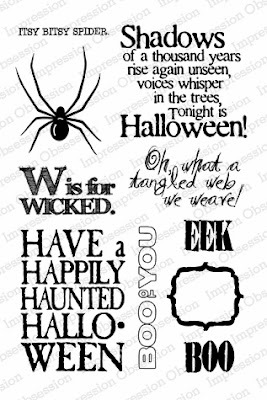 The stamp on the inside along with the Itsy Bitsy Spider are both in the Tangles Web clear set! On the inside I added a few more layers using the Border Duo 2 Die to add the mini scalloped edge along the right side. The Itsy Bitsy Spider was cut out with the Banners and Tails Die Set. I curved the paper a bit and tucked it under the bow, adding a little dimensional silicone to keep the banner in the bent shape. 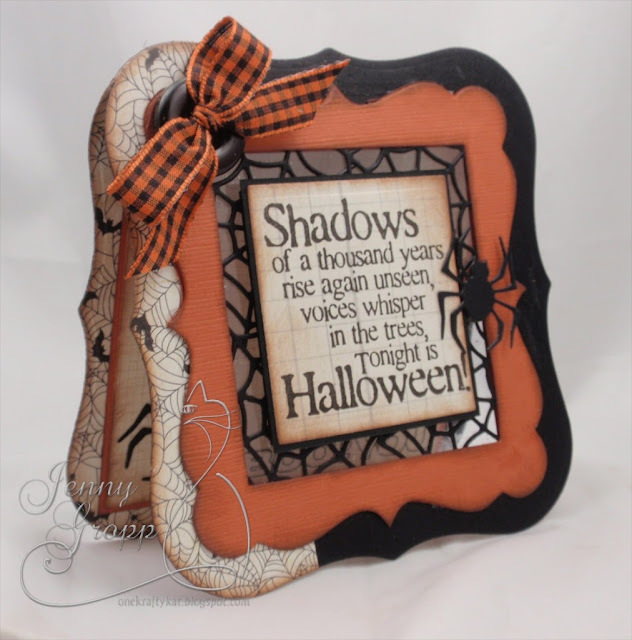 We have an adorable Halloween card tutorial to share today from Jenny Gropp using Impression Obsession's CL490 Tangled Web Clear Set, DIE002-Z Square Frame Square Die, DIE115-J Spider Web and DIE094-U Pumpkin Die. Of course I'm leading with Halloween! My most favorite kind of card to make!!! 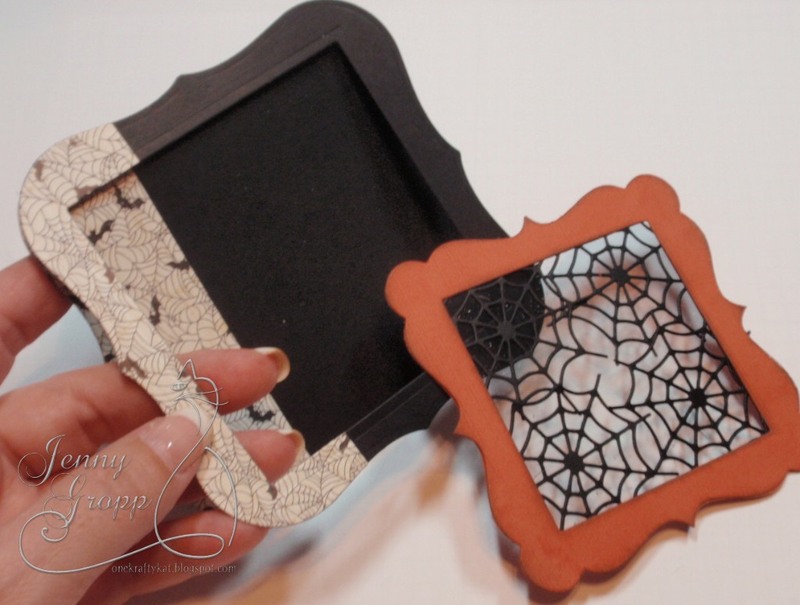 I created a little open window using acetate and the new fun spider web die! I took a picture for you of the two elements before I glued them. The spider webs are glued to the edge of the orange frame, that way there are no glue marks on the acetate to be seen from the other side. Here's the up close of the front only. The spider webs are on top and acetate is under them. That way you see a little texture too. the center panel is popped up with foam tape. Here's the card opened up... You can sort of see the acetate. 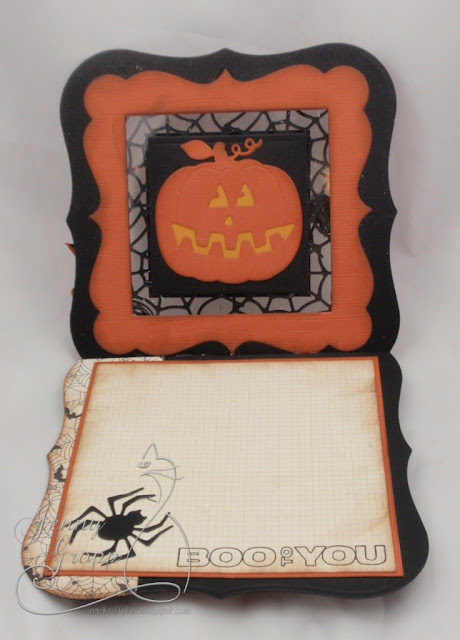 I added another orange frame and took the opportunity to add the pumpkin which covered up the glue that you could see through the acetate. 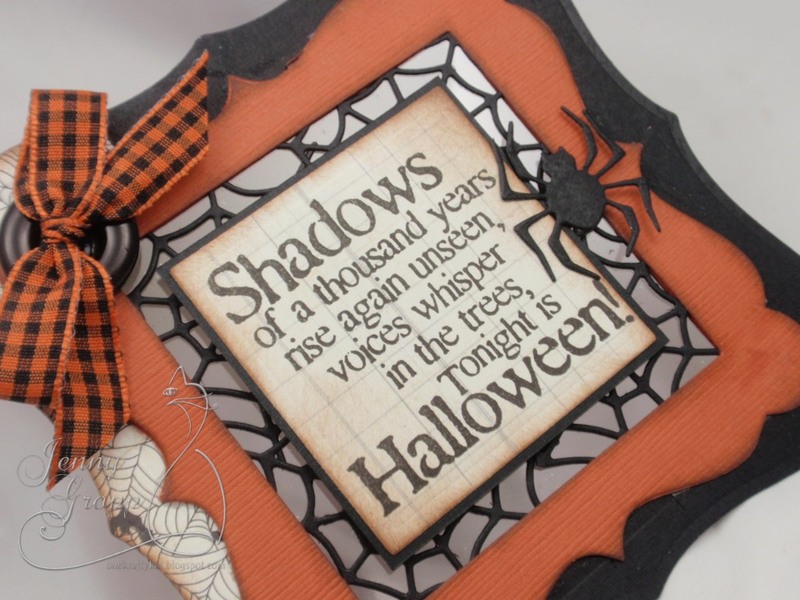 A fun Boo sentiment and a spider to finish it off! 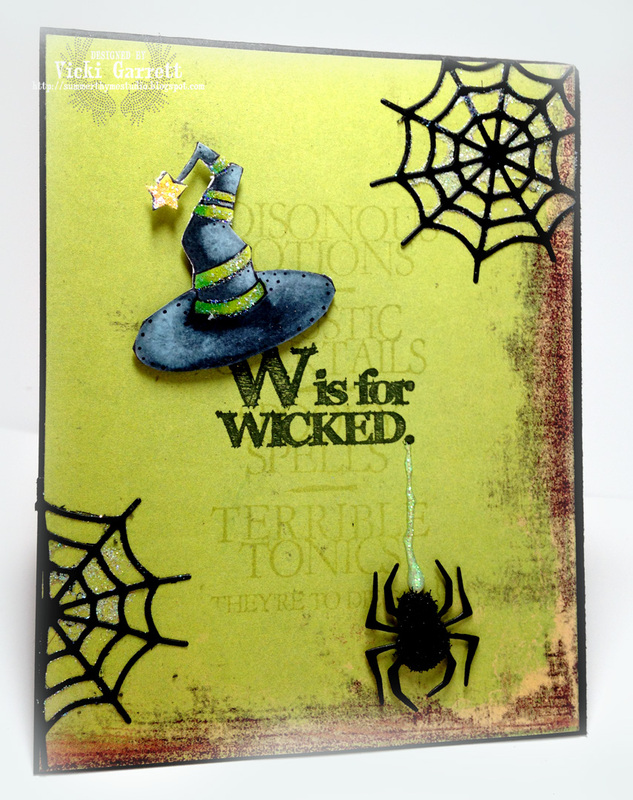 I used Spellbinder's Grand Labels One to create the card base. 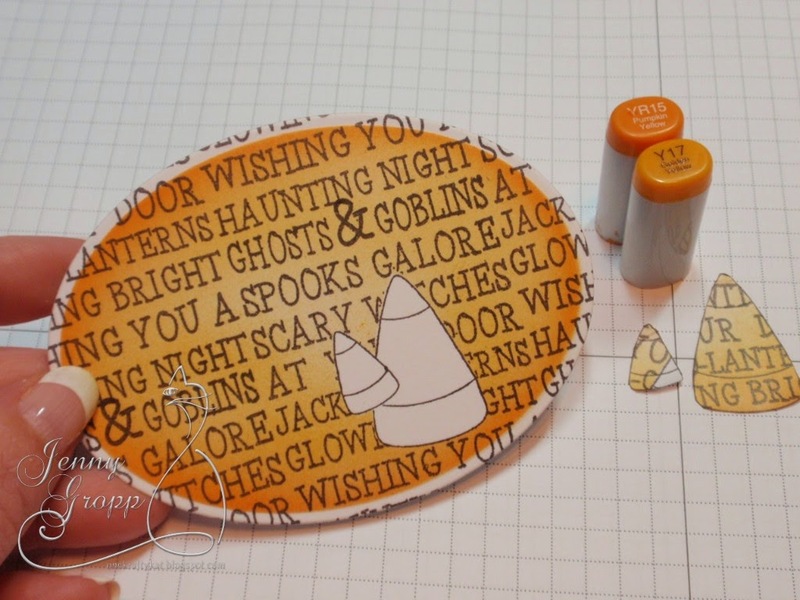 Vicki Garrett gives us spooky cute with a fun Halloween card!